Whose flag should fly highest over America? Symbols of power and authority. You know that, I know that, and the powers that be atop the Corporate American State know that. So it should come as no surprise that those powers have trained us since childhood to pledge allegiance on cue to the selected symbol of the American State’s “indivisible” political union and power. As a result of this programming, we’ve been left with no appetite or tolerance for allowing any other flag to fly above the carefully chosen and cultivated symbol of State authority. 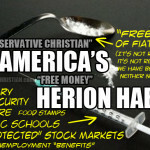 Having trained us from childhood through State-controlled schools and corporate-controlled pop-culture to acknowledge and adore the American State as god in practice, we’ve been purposefully placed in a position of America idolatry by default, subjecting all else – certainly including Christ and Scripture – to the overarching authority of the State. 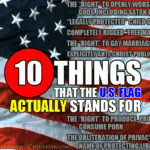 As an expression of this worldview in action, the flag of the American Corporate State cannot ever be allowed to play a submissive role to any competing authority, including Christ and Christianity. 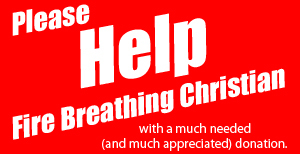 We can worship Jesus – or any other “god” that we like, if we must – by the grace and as a “right” given by the one true god that is America, but only insofar as America allows – only in ways that make the “lesser god(s)” like Jesus properly submissive to the one true god that is the State. 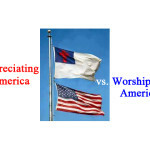 So if such a thing as a “Christian flag” is to be flown in proximity to the American flag, the former must be submissive to the latter. America is supreme. 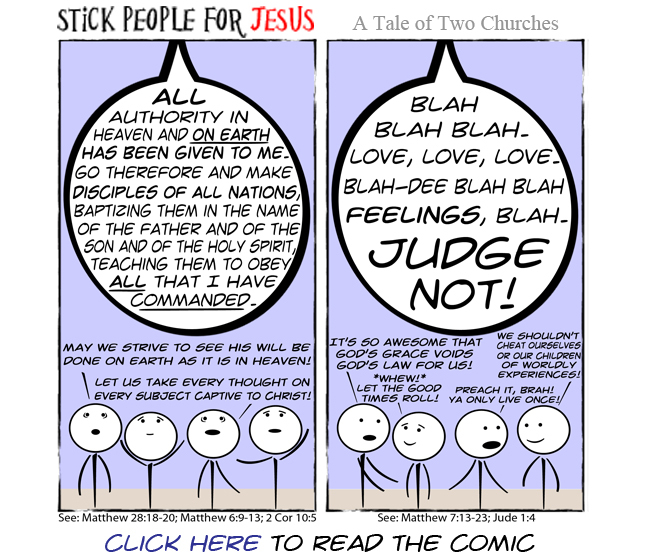 Christianity is submissive. So yeah, it’s pretty bad here in the oh-so proud “land of the free” and home of the NSA. As we rocket deeper down the black hole of American State idolatry, we are seeing more and more clear manifestations and consequences of this idolatry. 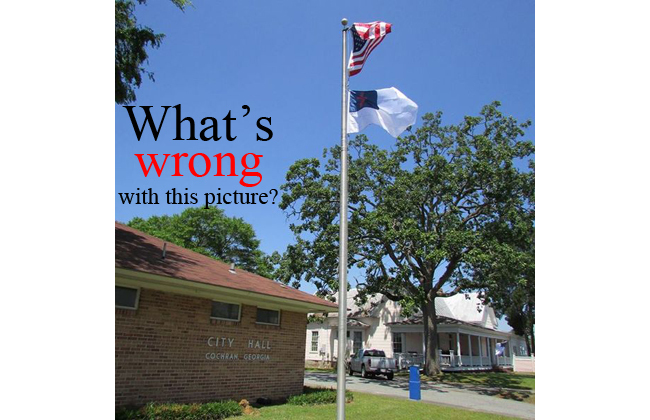 The controversy began early last month, when the Cochran City Council voted against the advice of its attorney to fly the flag at city hall to help promote a local Bible-reading marathon sponsored by the International Bible Reading Association. Before going on, let this image sink in. Then consider how utterly normal all of these things have become here in the “land of the free” and the home of the NSA. 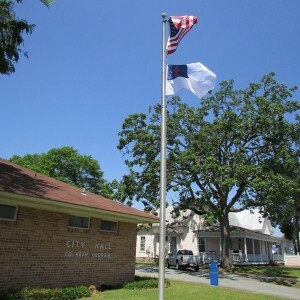 In a statement on its website, the city said it has decided to take the flag down “after reviewing further input from the community, detailed written legal opinions from our city attorney and a second legal opinion from a constitutional lawyer.” In the future, the city said it would only fly the U.S. and state flags at city hall. 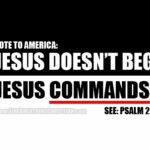 That’s right, here in ‘Merica, we bow to no god…including God! We submit to nobody and nothing but America itself. We are that exceptional. We are that special. And yes, we are that proud (and that doomed)! 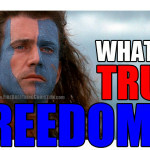 So in this American pride-induced state of rebellion against the actual authority of God in practice here in this land, is it really just a weird and wacky coincidence that we are watching everything from family and marriage to economics and work be systematically redefined (or undefined) in a manner that empowers and enriches the Corporate State? It sure doesn’t seem very coincidental. 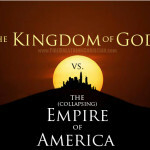 It actually seems right in line with where things like liberty, freedom, love, business, economics, patriotism and education are destined to purposefully lead a people once those concepts are severed from explicit connection and subjugation to Christ as King in practice. Truly, we have much to repent of…and that is where our first great opportunity lies. Brokenness. Repentance. And then restoration. We have the opportunity now to humble ourselves in brokenness and repent. That is the chance that we are being given even now in this late hour. This is the only hope that we have. This is the only hope to save any family, culture or civilization…one individual supernatural conversion and grace-fueled act of obedience at a time. 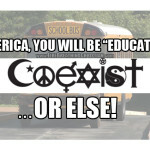 Lord willing, every idolatrous perversion of patriotism, liberty, freedom and love will be rejected, uprooted, and overturned by a people who seek to serve no god but God and no king but Jesus, here in America and everywhere else. 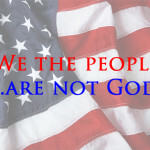 We the people…are not God. To bow or not to bow: President Trump, American pride, and submitting to the King. Next articleConfronting the Gay Orwellian Party: Dragging the Pagan Right out of the closet and into the light. 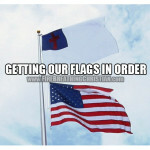 Any flag, and allegiances thereof are a form of Idolatry. For we are not to take oaths and or pledges. 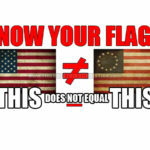 I will not pledge an allegiance to any "flag"